provide habitat for insects. 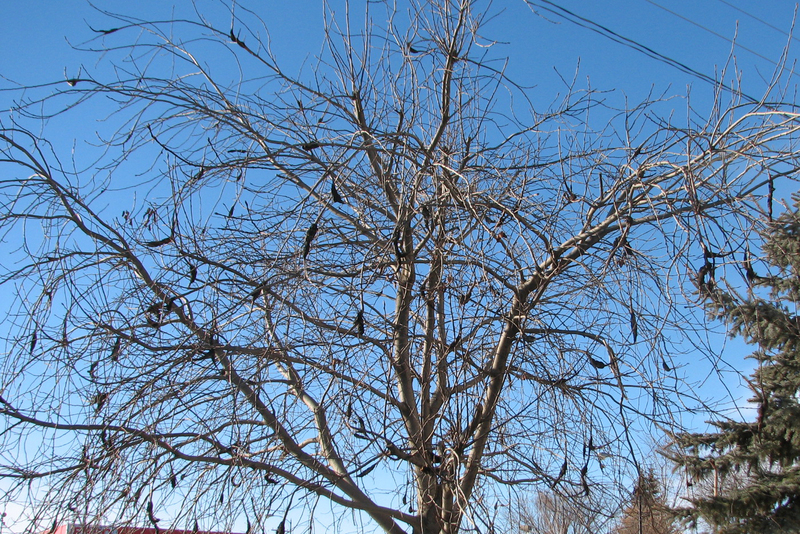 In Alberta it affects the chokecherry family of trees (primarily Mayday and Schubert trees). Black Knot occurs only on the wood parts of trees, primarily on twigs and branches but can spread to larger limbs and even the trunk. Olive-green swellings from the disease are visible in the late spring, but as it spreads and matures typically by autumn rough black knots circle and kill affected parts. The knots vary in size from one inch to one foot (2.5 cm – 30 cm). Older knots can kill trees by promoting insect infestations. 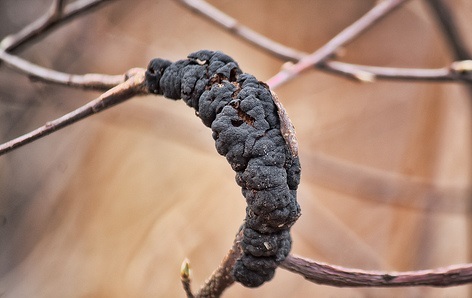 Black Knot is dormant during the winter season and it is the preferable time to remove the disease. 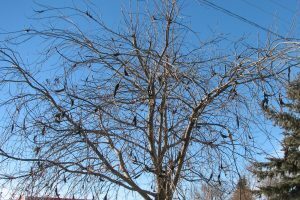 It is most visible during the leafless season but becomes active again during the leafed seasons and threatens other Chokecherry (Mayday and Schubert) trees in it’s vicinity.